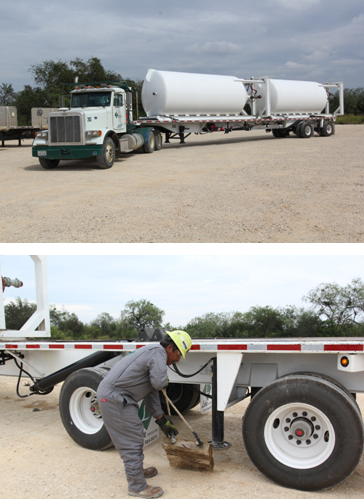 About – Lake Truck Lines Inc.
Our mission is to lead in oilfield logistics by always providing innovative solutions that are built on a foundation of transparency and the utmost of integrity. We will be a respected team within the Texas oilfield by constantly evolving with the industry. We will loyally support our coworkers, partners, customers, and community with truth and compassion. Honesty – Truthful in all matters. Passion and Dedication – Not one day wasted, sense of urgency in all matters. Salesmanship – Solutions with a partner perspective. Results Oriented – Doing…not just trying. Communication – Clear, concise, and consistent communication is valued from everyone. Safety – In EVERYTHING we do.